In today’s world where superhero movies are revered and known for having tons of action and special effects, who would have thought that there’d be room for a guy who has the ability to change size and communicate with ants? Marvel certainly had a plan when they wanted to do a film about Ant-Man, and it’s the kind of entry into the ever expanding Marvel Cinematic Universe that does keep to its tagline “Heroes don’t get any Bigger” for nothing either! As another brainchild of legendary comic book writer and Marvel Universe legend Stan “The Man” Lee, Ant-Man was originally one of the founding members of The Avengers in the comic books. While his cinematic universe counterpart does not hold the same position, the origins and evolution of the hero is nonetheless optimized and respectfully told for contemporary reasons, which eventually leads him to cross paths with Earth’s Mightiest Heroes in a very unusual manner. Unlike the big and heavy hitters like Iron Man and Captain America that most audiences are accustomed to, Ant-Man is literally a different kind of Marvel film – it’s a heist movie mixed with comedy and action that will keep you entertained… Plus the fact that the lead guy happens to steal a powerhouse of a suit that can allow the user to change size, talk to ants, and become a superhero. Paul Rudd plays Scott Lang, a former systems engineer turned criminal who is set to change his ways for the sake of seeing his daughter, only to run into desperate times that force him to revert back to stealing. 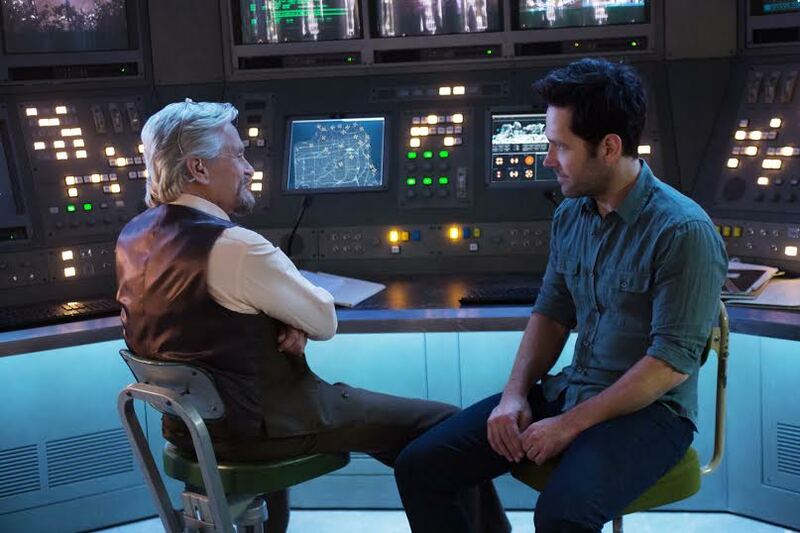 Unbeknownst to him, he’s being watched and observed by Dr. Hank Pym (Michael Douglas), a brilliant yet reclusive scientist who sees potential in Scott to become more than what he is now. 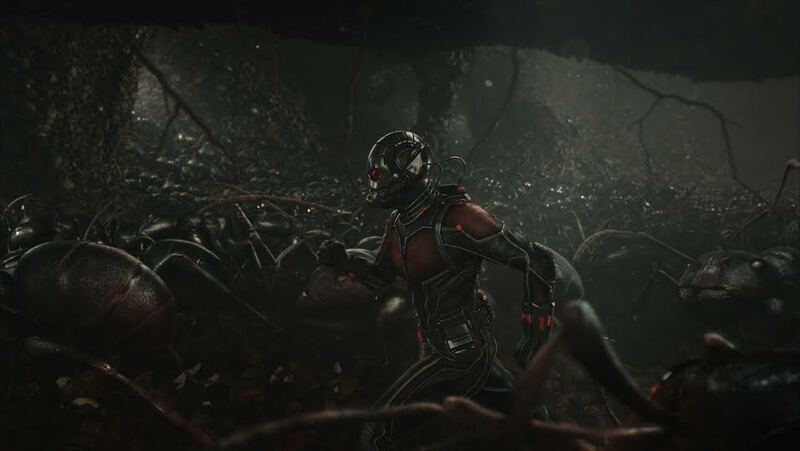 After setting up the entire heist for Scott to come in contact with his old suit, Pym asks the burglar to become the “Ant-Man” in order to prevent his technology from being turned into a weapon by Hank’s former protege Darren Cross (Corey Stoll). 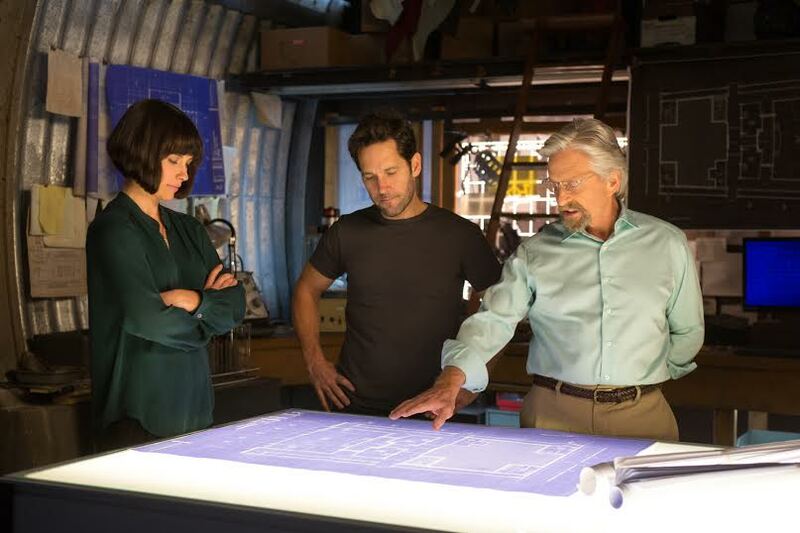 With help and training from Pym’s estranged daughter Hope Van Dyne (Evangeline Lilly), Scott agrees to Pym’s offer to become a hero not only as a chance for redemption, but to prevent any disasters to come from the technology and evil men do that could harm anyone in the world, including his daughter. 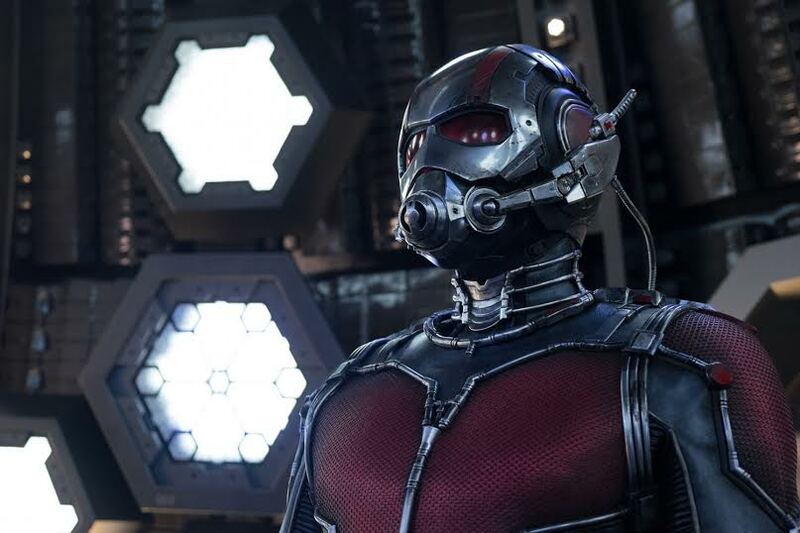 If casting was any indication of a movie doing its job, then Ant-Man certainly delivered on that part by getting the right men and women for the job. 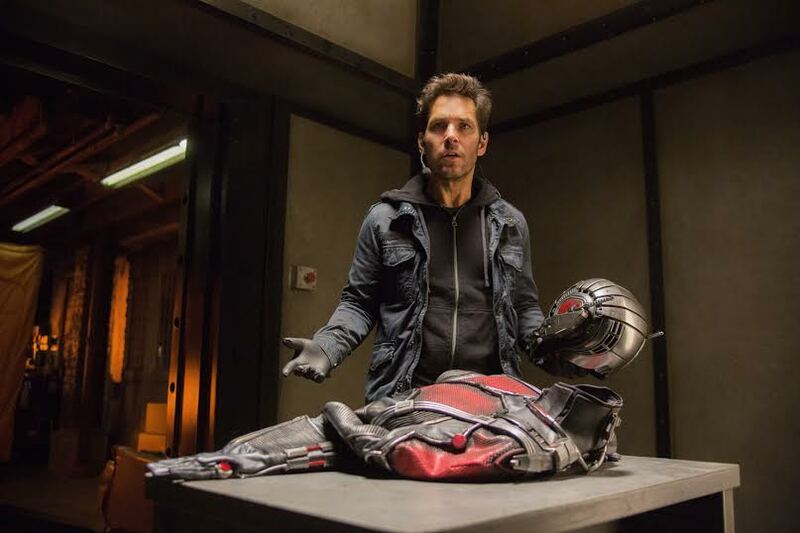 Comedian and writer Paul Rudd, known for his roles in movies like Clueless and then sitcoms like Friends, wasn’t exactly the kind of leading man you’d see in Scott Lang, but he did an excellent job and gave a performance akin to Chris Pratt’s turn as Star-Lord in Guardians of the Galaxy. Then there’s Hollywood legend Michael Douglas, who plays the architect and creator of the Ant-Man suit in Dr. Henry Pym. He’s the guy genius you don’t want to mess around with and who will do whatever it takes to prevent his technology from being stolen. Then there’s The Hobbit star Evangeline Lilly, who plays Pym’s estranged daughter Hope Van Dyne – who’s tough as nails and pretty enough to mask her conflict and resentment to her Dad over what happened to her mother Janet Van Dyne years ago. That, along with the likes of Michael Pena playing a hilarious supporting role and Corey Stoll playing villain in Darren Cross/ Yellowjacket, provide Ant-Man with a wealth of star power that can be easily underestimated and should be given due credit. It’s these casting moments and the writing that makes films like these such a treat, especially with the interconnectivity Marvel films have with one another. As the final entry of “Phase Two” of the Marvel Cinematic Universe, there’s a lot going for Ant-Man that comes after the events of previous films like Captain America: The Winter Soldier and Avengers: Age of Ultron, including a special cameo appearance by one Anthony Mackie, aka The Falcon. That so much isn’t a spoiler since TV spots of the film revealed the Cap supporting actor’s appearance… But the fact that the film takes time to make space and sense for these connecting dots is appreciated. As always, it’s a NECESSITY to stay until the credits end for two post-movie scenes. I won’t spoil what they are… But it’s “Tales To Astonish” and talk about when all is said and done. 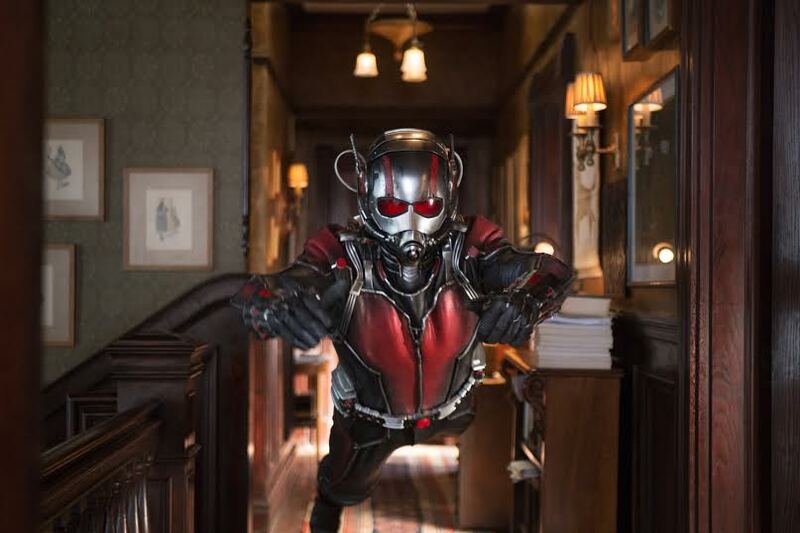 As a project that was originally supposed to be helmed by Shaun of the Dead and The World’s End director Edgar Wright, Ant-Man actually began development nearly a decade ago and was among the first films considered for the Marvel Cinematic Universe. Unfortunately creative differences and changes in the direction of the film during production made Wright leave as director, with Peyton Reed replacing him following his departure. Despite these changes the final film turned out to be quite the unique spectacle, and it’s another superhero gem that fits so well into the big plans Marvel Studios has for the future of its movies. There’s so much going for Ant-Man’s presentation and casting that it’s relatable to the likes of Jon Favreau and the first Iron Man film, with a man who is an unlikely candidate for superhero being turned into one based on circumstance and change… And it doesn’t take big guns or large egos, only one man who can change his size and use it to his advantage to make a difference. 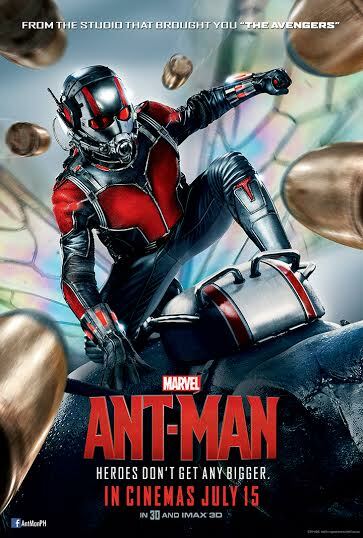 Ant-Man, distributed by Walt Disney Studios Philippines, is now playing in theaters.